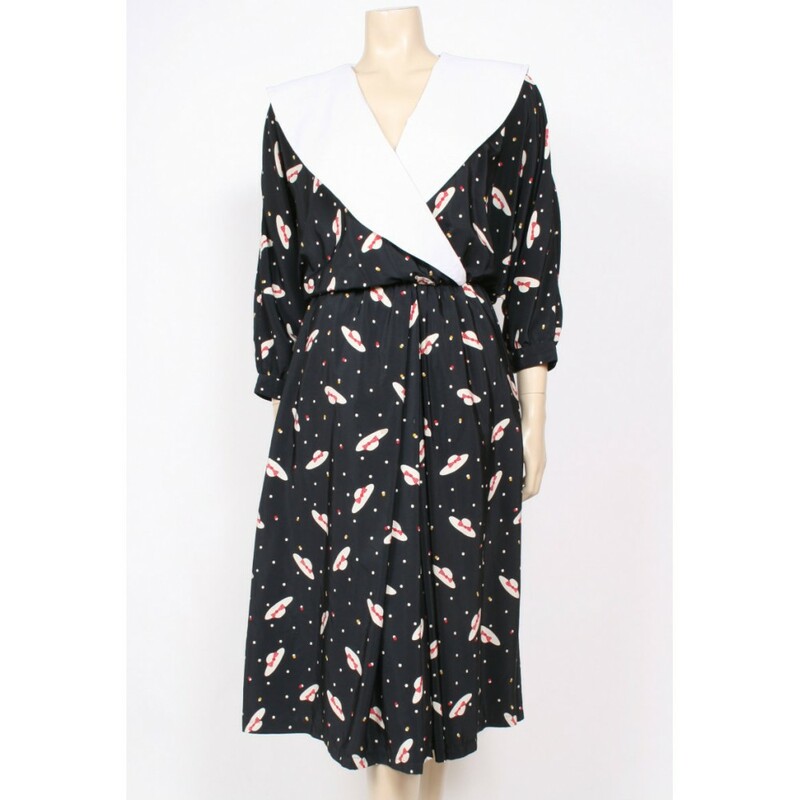 Absolutely ace 80's dress, it has EVERYthing a gal could want in a vintage dress! 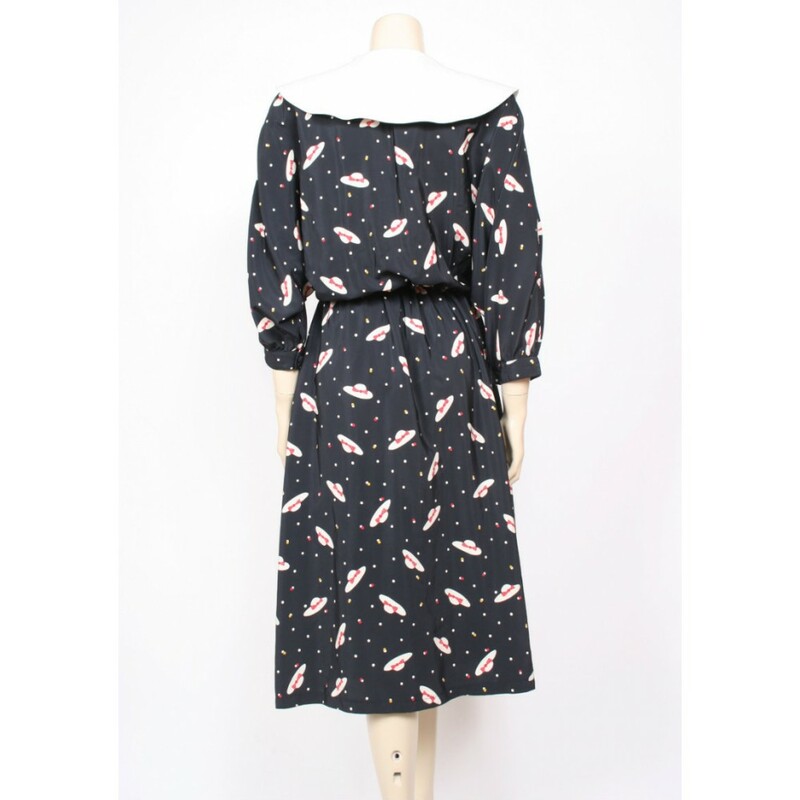 It's a real silky soft viscose fabric, black, elasticated waist, billowing batwing 3/4 length sleeves, huge white collars, pockets at the sides and a blemmin' brilliant hat print all over! Size UK12; bust is free size, waist elasticated up to 32", total length 46"
Excellent used condition. It has belt loops but no belt.